From last few days I am not very much active on annapoornablog. I was busy with my new website that I have started last month but launched on Mother’s Day. From now onwards, I will post articles, blogs, recipes on the website. Please do have a look of the website http://www.mothersgurukul.com and let me know your comments, suggestions. 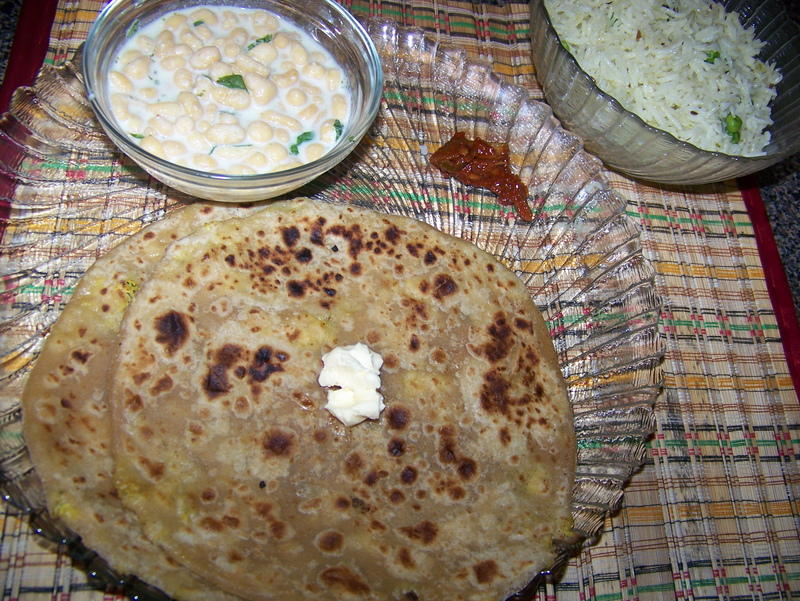 Paratha is a versatile dish, since it can be made with multiple stuffing. This time I tried Kale Paratha. Kale is one of the healthiest vegetables and has a high nutritional value. It is said to be the descendent of wild cabbage. It can be used for making soups, salads. I never paid attention to kale while doing my grocery, I always picked Spinach, Cilantro, Mustard Greens but never thought of making paratha with Kale. One of my friends mentioned about this paratha. I made it and everyone loved it…:) Its easy to make.. Note: I haven’t mentioned the quantity for spices, you can decide the amount as per your taste. In a pan, heat some oil, add the chopped Kale with all the spices except Salt, stir it. Cover it. Let it cook for some time. The quantity of kale will reduced once it is cooked. Now add salt. Look for the amount of salt as we will be adding some salt to dough. Once it is cooked, turn off the heat and transfer the mixture to a plate. Let it cool down. Mix all the dough ingredients with kale mixture. Knead it like a paratha dough. Divide the dough into equal balls. Roll it, place on the griddle or skillet on a medium-low heat and cook for about a minute. When the paratha gets puffy, spread some oil and flip it, press it, you will see some small browns spots. Make sure the paratha is cooked from both sides. Serve it with Raita, Pickle. “Puran Poli” or “Puranachi Poli’ is a Maharashtrian dish usually served during Holi.The stuffing is called Puran and outer covering is called Poli.Traditionally, the stuffing is prepared by boiling chana daal, when it is cooked and soft sugar or jaggery is added and cooked. Then this stuffing is removed and sieved through a utensil made specifically for puran to get a smoother texture. Puran Poli brings back the memories of my childhood days when my mom used to make it for us and then me and my sister would go out for playng Holi with friends. 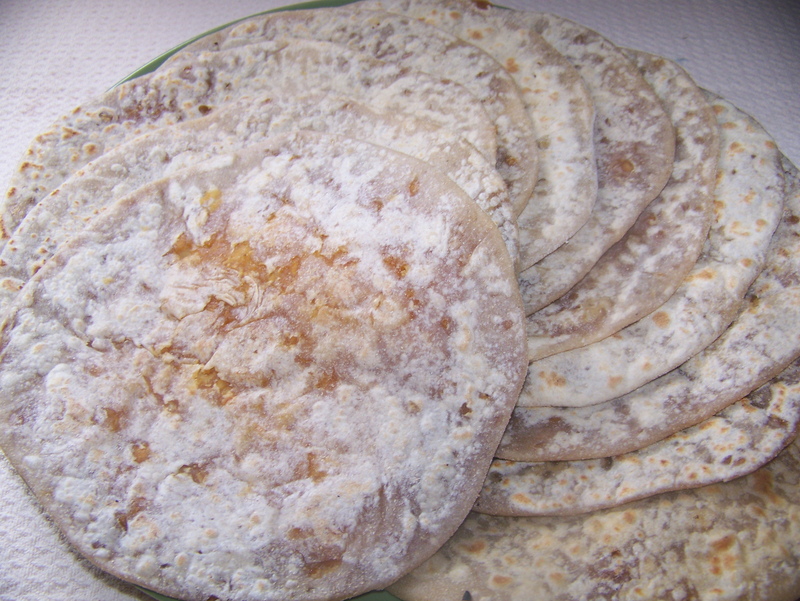 Preaparation of Puran Poli at home itself used to create an environment and a feel of Holi. I wasn’t a big fan of Holi but Puran Poli was the major attraction. I love it..
Like every year, I made Puran Poli for Holi. I do not follow the typical process for Puran. This is what I do…. Soak Chana Daal in enough water and cook it till it gets smooth. I pressure cooked it..6-7 whistels should be fine. On a medium-low heat let it cook stirring it at regular intervals until all the water gets dried. Add Numeg powder and Cardamom powder as per taste. In a mixing bowl add whole-wheat flour, all purpose flour and oil; add water slowly while mixing and kneading to make very soft dough. The dough should be soft, but not sticky to touch (same as chapati dough). Cover and set dough aside for at least ten minutes. Divide the dough into 12 equal balls. (If you want you can divide the Puran into 12 balls.) Roll is into to small circle. Take the stuffing ball, place it inside the rolled ball, seal the ends and then again roll it. Ideally, the quantity of Puran should be double the dough ball size but you can reduce it if you want. If the dough is sticky while rolling, lightly sprinkle dry whole-wheat flour on both sides. Side by side heat the griddle/skillet. 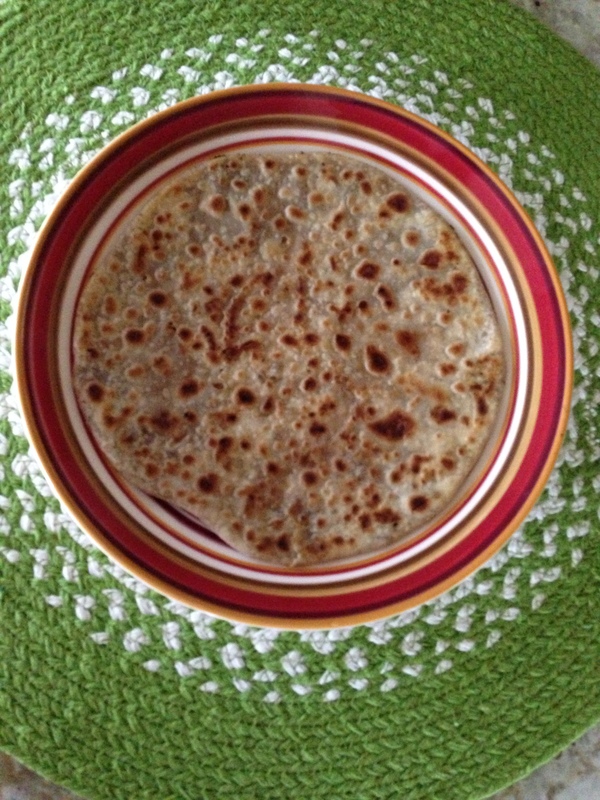 Place the Puran Poli on a griddle on medium-low heat. Once you see some brown spots flip it after few seconds. Then again flip it. If you want to serv it immediately then after first flip spread some Ghee and then flip. Puran Poli is ready to be served. It may be served with a spoonful of ghee. 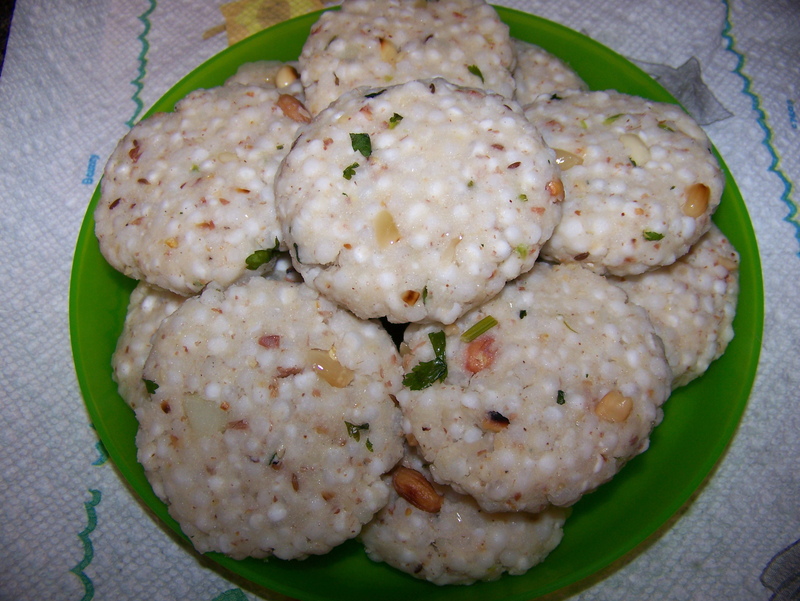 Poli is often served with milk too. I prefer to cook it without ghee and get all the Polis ready, and when we are ready to eat that time I again cook it with Ghee as per requirement. This way you can keep the rest of the rotis(without ghee) for later use. I am a big fan of Sabudana Vada. 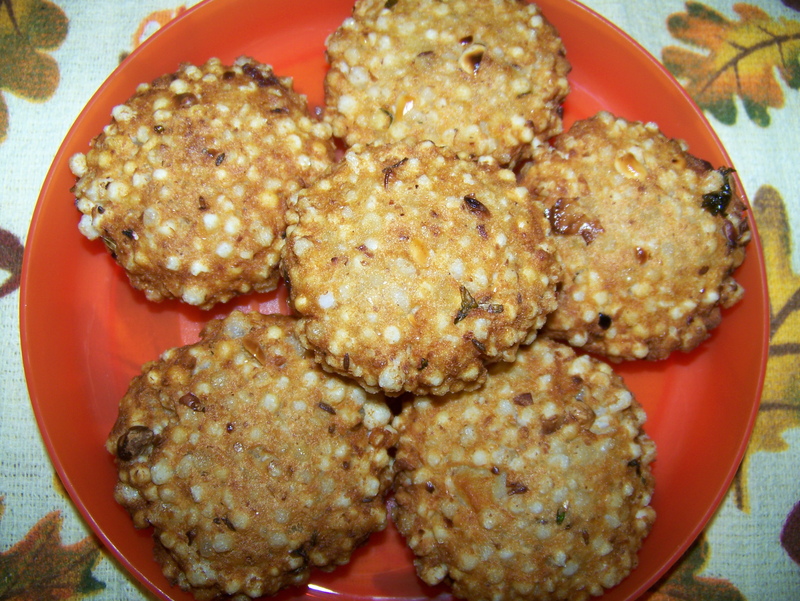 As a kid I used to get excited to do Shiv Ratri Upvaas(fast) just because of sabudana vadas. Crispy from outside and soft from inside these vadas combined with potato makes it very filling. They can be served with green chutney or Dahi(for upvaas) or even as a tea time snack. I made it last week for Shiv Ratri upvaas. Soak sabudana overnight in a little water, just enough to cover the sabudana. Drain any excess water from the sabudana. Take roasted peanuts and remove the husk. Grind the peanuts to a coarse powder, and add it to the sabudana. Add mashed potato along with crushed green chilly, grated ginger, salt, & chopped coriander and mix well. Make small balls with this mixture (a little smaller than a golf ball), flatten them a bit, and set aside. Fry these flattened pieces in the smoky hot oil, until they turn golden brown. Sabudana has to be soaked properly. Oil should be hot enough while frying otherwise vadas will soak more oil. Tofu also called Bean Curd is low in cholesterol and calorie count. Loaded with protein, iron, calcium and has very less fat, its needless to say that Tofu Parathas are very healthy for everyone of us. Yesterday I tried making these parathas and they turned out really good. You can have it for Brunch, Lunch or Dinner. I searched for few recipes but most of them calls for mixing the tofu with wheat flour but I like stuffed parathas more. Here is how I made them. Note: I haven’t mentioned the quantity for the dry spices as you can add according to your taste and spice level. Add all the dough ingredients in a big bowl and knead very well. Make a paratha dough. I like adding little bit of salt to my paratha dough. Cover it with plate or lightly wet kitchen towel and let it rest for 15 min to half an hour. Take out as much as water as you possible can from the firm tofu. In a pan heat some oil, add tofu with all other dry ingredients. Mix it well with spatula. Once the mixture looks dry turn off the stove and transfer it to a plate. Let it cool down. Divide the dough into equal size balls. Roll it into a small circle, fill it with stuffing. Seal the edges completely so that stuffing does not come out. Carefully roll the stuffed ball to desired thickness to make paratha. Heat the griddle and cook the paratha both sides until browned. Lightly brush the oil or ghee on top of the paratha. Enjoy with Boodi Raita, Pickle. Methi Paratha, healthy, full of nutrients and yummy!! What else one can ask for? Talking about the nutritional value then Methi leaves are rich in iron, minerals and vitamins. Considered very effective in controlling diabetes. 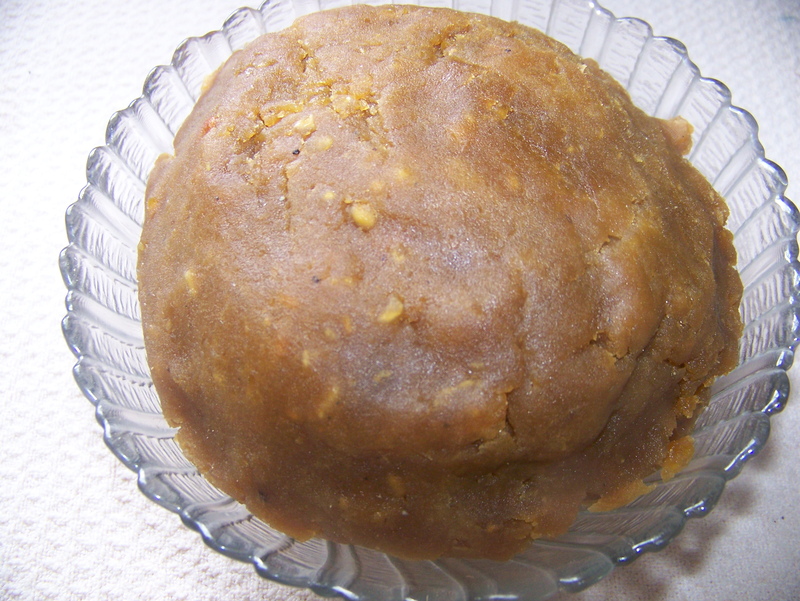 In India, there is a custom of giving Methi ladoos to a new mom after child birth. I had those ladoos after my daughter’s birth. Since methi is bitter so obviously these ladoos do not taste like besan ladoos..:) but from health point of view I had to have it. 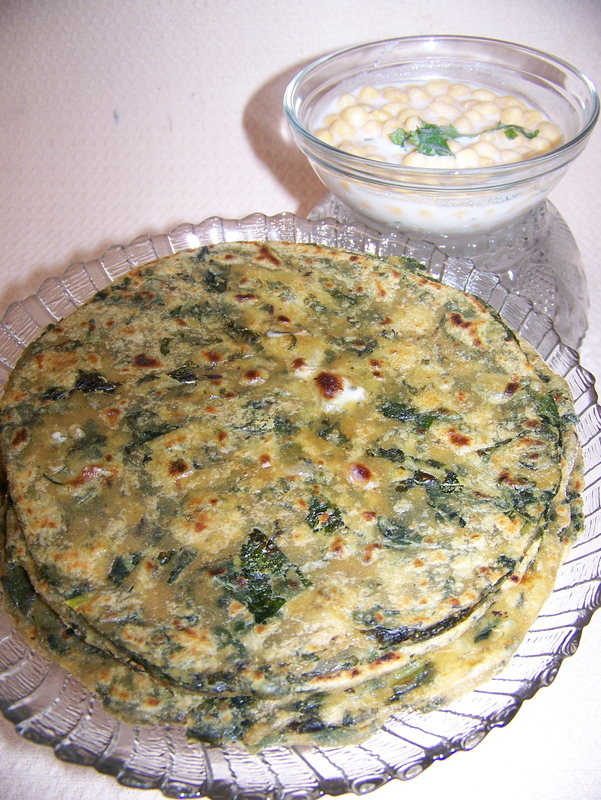 I have mentioned in one of my previous blogs about my daughter’s love for methi paratha. I got fresh methi so thought of making them. These parathas can be made in two ways- One is by chopping the cut methi leaves and kneading it together with whole wheat flour and another is preparing the mixture first and then filling it just like aloo paratha and rolling it. I used the former. For the dough, add all the ingredients to the wheat flour. Knead it with the required amount of water – you may use around a cup of water. Make the dough a soft pliable one. You may use warm water for better results. Cover the dough with a tissue or plate and set aside for about 20-30 minutes. To make parathas, divide the dough into balls. Roll it like chapati but not very thin. Heat a tava (griddle). Roast the methi parathas on medium heat till done on both the sides. Grease the parathas with a little oil while cooking. Parathas are ready to be served. I served them with Aloo Sabzi and Salad. These Paratha can be a good option for Brunch, Lunch, Dinner. Make some variations with sabzi if you like. You can also have it with curd and pickle. Haven’t posted anything from many days… Today is a Dessert day….I tried making Bakalava (Mediterranean dessert). Few days back, one of my friends made it & gave me few pieces to taste. I kept the packet in my bag & headed towards the grocery store. Somehow I missed or say skipped my Breakfast that day. So, variety of sounds were coming from my tummy. Done with the shopping & then loading, I took out the keys from my bag & was almost ready to start the car when someone called on my cell. I opened my bag & one more time that tiny but still aromatic Bakalava packet caught my attention. I attended the call making up my mind to have a piece after my conversation. And I had it. But then I couldn’t stop myself from having another. That Bakalava was a hunger saver for me. I called my friend after coming back home & thanked her for this awesome dessert. I am not a big sweet lover but ya, few sweets in which we can control the sugar level… I don’t mind trying that. It was so sweet of my friend to give me some useful tips regarding Bakalava. After postponing it for so long, finally, I made it. Occasion? Nothing. Do we really need any occasion for sweets? To convince myself & not feeling guilty about having such a rich dessert I said its festive season… We will be celebrating Diwali and after that Christmas so lets make it…. :) Who says Diwali is all about Ladoos and Christmas is about Cakes & Ginger Bread Cookies? Sweets are an automatic extension for festivals..right? We can control the sugar as we will be making Sugar Syrup also. Be sure to thaw the filo dough using the instruction from the package, phyllo dough should be at room temperature before using. Do not open the package until you are ready to use. Combine all the dry ingredients, ground almonds, walnuts, coconut, sugar, and cardamom. Preheat the oven 350 degree F.
Work on a clean, dry, flat surface, Open the filo dough and take 1 sheet spread over the working surface and fold it making it double in length wise. Lightly brush the butter covering the whole sheet. We will be working from the shorter side. Leave about half inch of sheet across the short side and sprinkle 2 tablespoons of the filling from edge to edge evenly. Roll it like a jelly roll twice and brush lightly with butter, only the rolled part. Sprinkling again 2 tablespoons of the filling from edge to edge evenly. Roll it up carefully, after every roll brush it with butter, and place seam side down in the baking tray. Repeat the process until you finish rolling all six sheets. The pieces should fit snugly, but not squashed. With a very sharp knife, cut the roll into 3 equal pieces in length, total of 18 pieces. Lightly brush the butter over each piece. Bake the baklava for about 25 to 30 minutes until they are light golden brown in color. 1. Boil Water, Sugar & Honey. Once it comes to a boil add Lemon Juice. Turn off the heat. 2. Carefully pour the hot (but not boiling) syrup evenly over all the baklava pieces. 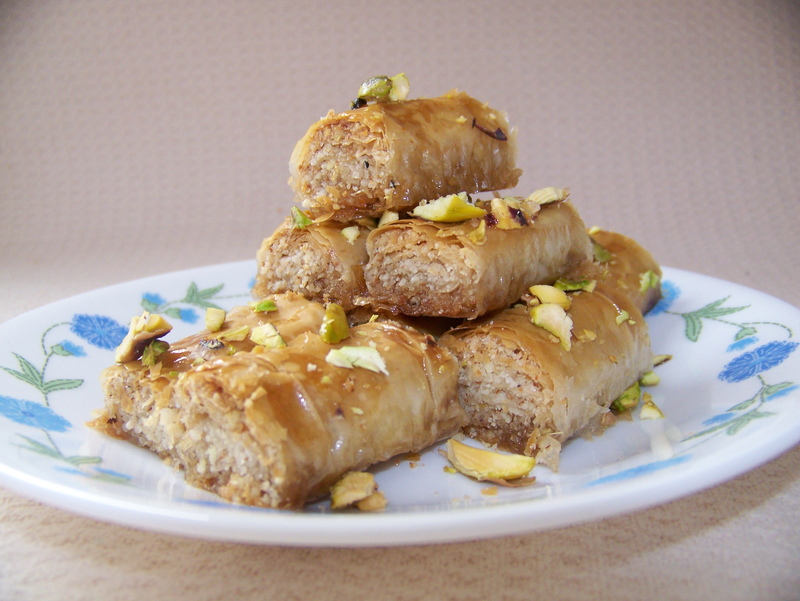 Sprinkle few pieces of the sliced pistachios over baklava. Allow the baklava to cool before serving.